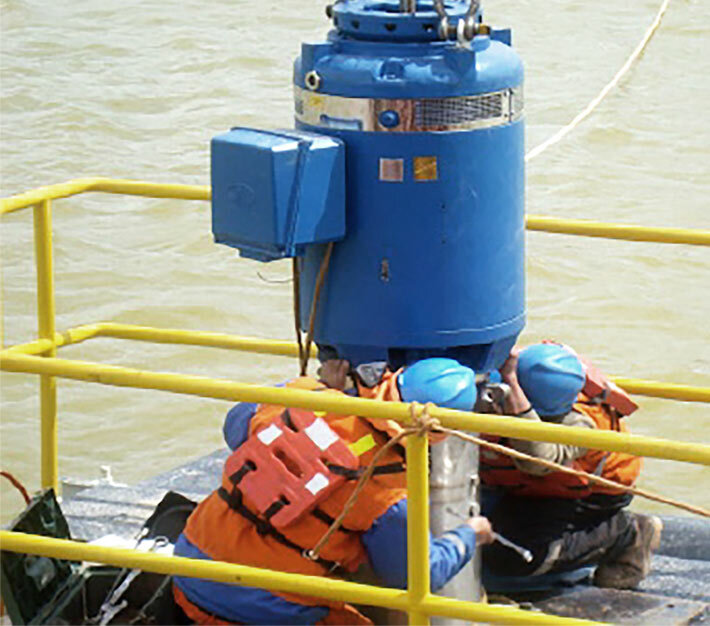 Vertical motors are designed primarily for deep well turbine pump applications. 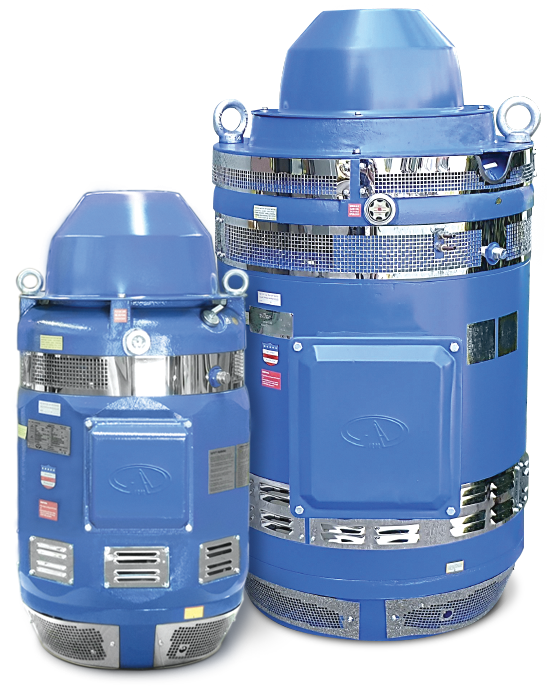 Our inverter-duty motors, available in WP1 or TEFC enclosures with hollow or solid shafts, are precision manufactured to provide superior reliability and durability, with the lowest vibration levels in the industry. Our engineers and designers are among the most respected and recognized in the world. We work at the leading edge of technology, combining our product research and development with application knowledge and a comprehensive understanding of market demands. Aurora inverter-duty motors are among the most recognized brands in the industry. Available as WP1 or TEFC, our Vertical Hollow Shaft (VHS) and Vertical Solid Shaft (VSS) motors are built from the highest quality materials. 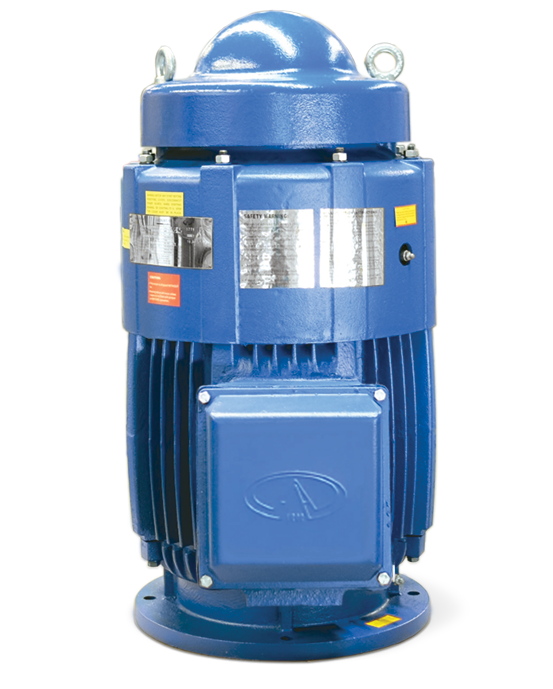 Tailored to your specific requirements, our robust motors perform under the most strenuous and extreme conditions. 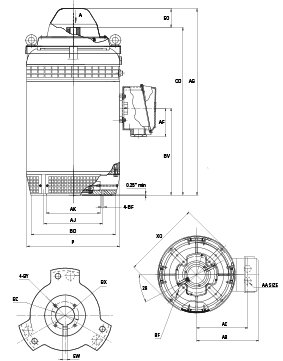 The Aurora Motors insulation system has been designed to withstand a wide range of environmental conditions, thermal shocks, and voltage stresses. It contains all UL-approved, inverter-duty copper wire and a double VPI treatment with a non-water absorbent epoxy varnish for maximum winding protection. Small manufacturing can be your big opportunity. With Aurora Bare Core Packages, you can efficiently produce your own motors and promote your own brand. Aurora produces all of the motor components you need so you can build and wind the motor to your customer specifications.